I believe I nurtured my skills in engineering from my boyhood hobby of building models. Now that I am retired, I can pick up where I left off and use modern tools to recreate the fun and excitement I felt when I was a kid. Then I was able to create something significant out of a lot of little parts. It's nice to know that this activity still excites me. Living in Lexington Massachusetts, there are many attractive subjects just sitting there waiting to be modeled: houses and other buildings dating back to the American Revolution. 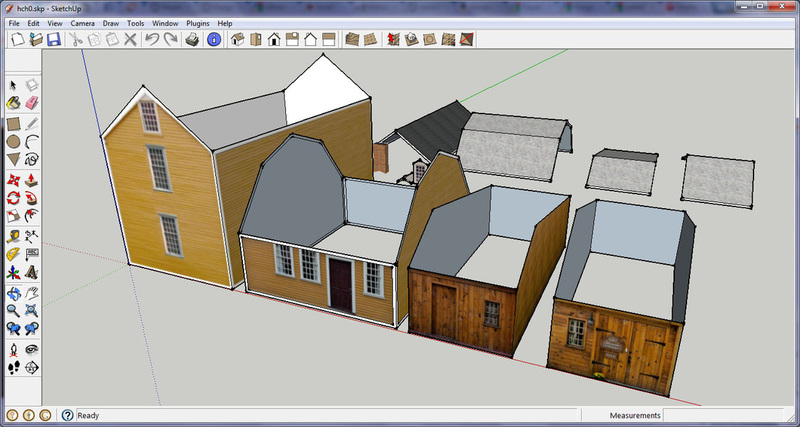 So, I have set off on a project to create models of those houses. Google has developed an amazing tool -- Google SketchUp -- which allows you to create extremely detailed models of 3-dimensional structures, such as the two models in the banner of this website. These models were created in SketchUp by Ron Hall, a master user of SketchUp. 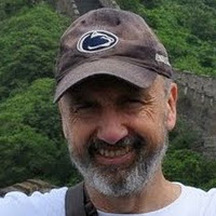 Ron Hall is an expert Google SketchUp modeler who has designed and published over 100 models that have been accepted by Google for display on the 3D Buildings layer of Google Earth. You can see Ron's contributions to the Google 3D Warehouse. Ron has been an inspiration to me in committing to this project of modeling the historic buildings in Lexington. He has shown me that it is indeed possible -- that I wasn't going off on one of my super-enthusiastic ventures that had no chance of success. In particular, Ron's Small Town American Landmarks contains exactly the type of models I want to create. 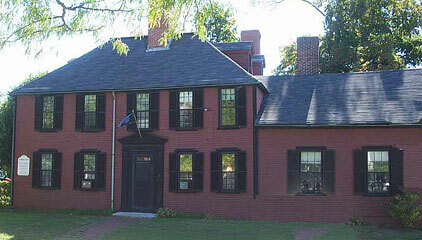 In the Fall of 2010, Ron contacted Susan Bennett of the Lexington Historical Society telling her about his project in modeling American landmarks and his interest in the historical houses in Lexington. Knowing of my interest in this topic, Susan connected me with Ron and the rest is history. Last Winter (2010), Ron visited Lexington and gave a presentation on his work of modeling the Hancock-Clarke house at the Hancock-Clarke: Architecture, History and Building Models. My interest was a little different than Ron's: I have always had a great interest in paper models. Whenever we visit historical museums, I comb the museum store for paper models of the structures we have just seen -- usually without success. Dover produces a wonderful line of Dover Cut and Assemble Models, many of which I own. 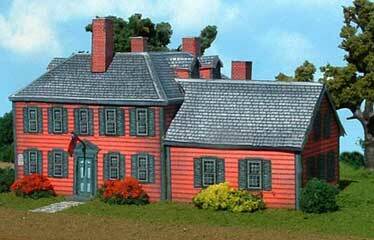 Another source of paper models that I have used is Fiddler's Green. 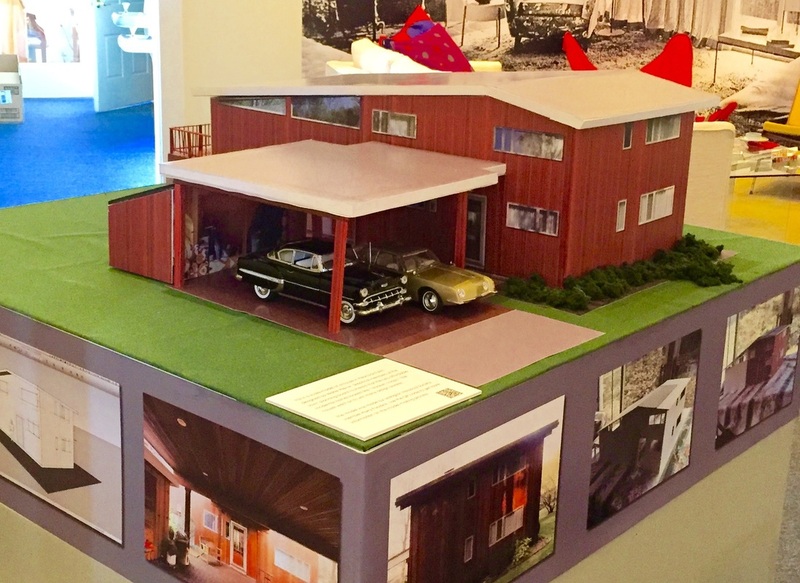 Recently when asked to create a large model of a Mid-Century Modern house, I decided that the size was too big for the techniques I've learned for paper models, and so I've adapted the lessons learned in designing and building paper models using new materials for me. Foamcore provides the strength needed to build large house models. The only thing that changes is printing the outer surface on paper and then gluing the paper to pieces cut out in foamcore. Works like a charm. I view this as an extension of my paper modeling interests into merely using different materials to construct the model. The basic idea of taking photographs, build a SketchUp model, applying photographs to surfaces in the SketchUp model, print the surfaces, and finally glueing / taping together the surfaces into a three dimensional model to be my current method of modeling. I found that after I had cut and assembled many models that I bought, my designer juices kicked in and I wanted to design some of these myself from scratch, combining my love of computers with my love of model building. So, about 5 years ago, I started fooling around with SketchUp and built a model of the Hancock-Clarke house. My original model was pretty inaccurate. The one illustrated to the right is extremely accurate because I went out and measured the house using various Stanley 16' and 50' tape measures as well as a Bosch Laser Distance Measurer for the tops of multistory buildings. 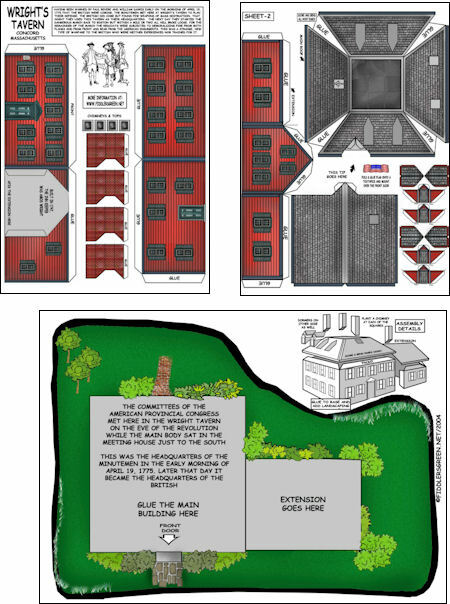 In addition, I had Ron Hall's model of the Hancock-Clarke House to use as an example and confirmation that I could do this modeling in SketchUp. The reason I couldn't just use Ron's model is that it has too much detail for paper modeling. Later on in the website, I describe how to use SketchUp to design such models. 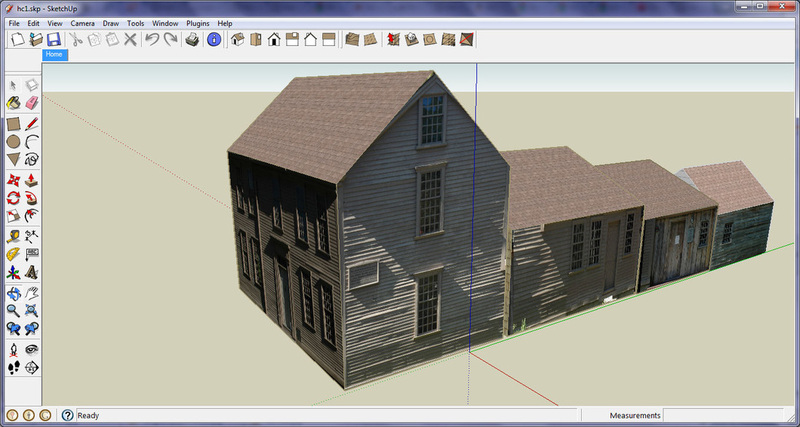 Google SketchUp model of Hancock-Clark House, circa 2011 after the 2009 reconstruction including new exterior color. After my initial experiments with SketchUp, I hit a brick-wall in finding a program to take the SketchUp model and do the processing needed to unfold the model into parts with tabs that could be printed, cut out and assembled. I put this project on the shelf for several years -- but not far out of my mind as I search the Internet for solutions to this problem. In that time, I ran across a number of programs that tried to do this but which I found too difficult to use (Pepakura Designer, Waybe, Jim's Unfold Plugin for SketchUp). I was beginning to worry that I wasn't going to be able to find the tool that would make it easy (or at least easier) to produce many of these models. Recently, I discovered Ultimate PaperCraft 3D, by Brad Bolthouse. There were several things that lead to my success in finding a program I could use to unfold a SketchUp model, including the maturing and gain in acceptance in this 5 years of SketchUp as a modeling tool, Brad's previous experience in implementing several other programs in graphic modeling before he implemented UPC3D, and finally my increased willingness to spend the time to learn a tool that was able to directly accept SketchUp files. As with any project of this sort, it takes a lot longer to do the first one than you ever imagined. Each tool requires significant investment in learning how to use it well -- as well as how to use it for your chosen application. Then there are all of the tweaks as you see the results of your work. I believe that I have made and remade the model of the Hancock-Clarke House at least 5 times from scratch before I got it to where it was ready to be unfolded. And then I unfolded it at least 10 times as I learned how to use Ultimate PaperCraft 3D to achieve the results I wanted. Finally there are the extra finishing touches you have to add to a model that is intended for others to cut and assemble -- some of this is presentation, some instructional and the rest, marketing. The net result of these developments is that I am now ready to design and produce more of these models. But before I do that I wanted to write down all of the things I learned in the 2 months that I have been working on the Hancock-Clarke model. Things I learned about how to use Google SketchUp to produce models that are suitable for cut and assemble paper models, things that I learned about how to unfold these models using Ultimate PaperCraft3D, and things I learned in creating the final PDFs and printed paper sheets for models that are buildable by others. 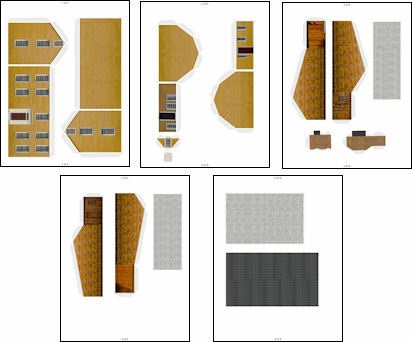 You will find those observations in the section Designing Paper Models.